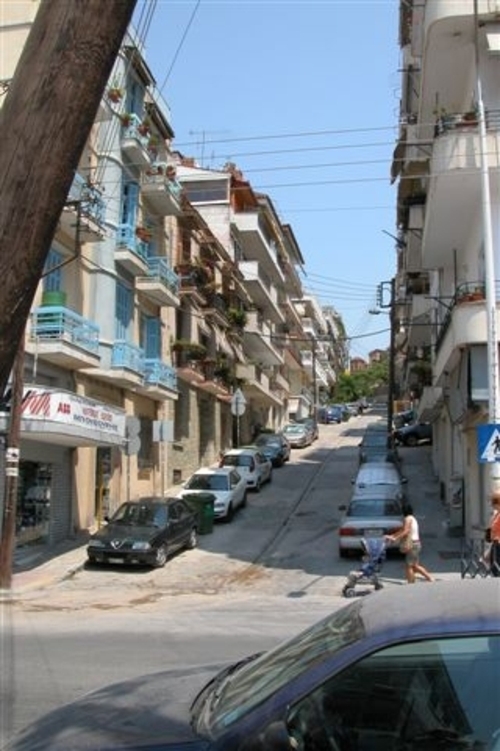 Carole reports, "This is one of those narrow, confusing interior streets in Thessaloniki. This is a confusing town to get around in (lack of street signs - some being on buildings between the first and second floor and some not - and being in three languages and in a different order at each corner - and extremely heavy traffic and cars honking - and the map not really matching up to their route, etc.) we just saw whatever we thought interesting. On this day we did not realize that Ken was about to suffer the effects of food poisoning from the night before; all we knew was that he didn't feel at all good. So here goes..."